Please forgive me, but bp6bs are the smaller of the set pictured, correct? 1. User name is Gibbles on ebay, check me out. Been on since '98 - I think. tv - toshiba 50" cinema series ws (can't remember model), Receiver - onkyo txds989 (fully upgraded)). The bedroom system is more stuff, but don't need to get into it. As others have said...you can trust whatever Sid says. Anyways... yes, the BP6B is the smaller one in the picture. They definitely have a more alive sound. I doubt you will find them boring. The cool thing about bipolar towers is you can upgrade to larger towers later and move your older towers to the surround position... and I speak from experience... those things take the surround experience to a new level... the amount of bass they can produce is just insane. What are you driving your stuff with? You might consider a small amp to put on the main stage. Just to give it a lil extra kick. Something like Adcom or such. I dont know what you have - but you may find it something to consider..
As for BP6B vs. Bp10B - does your brother have the original BP10? With the soft domes? 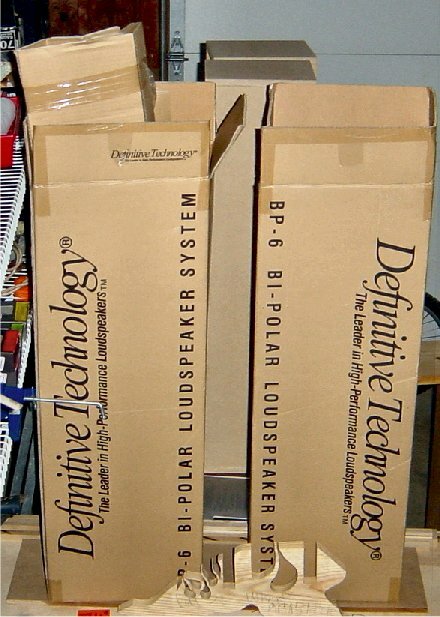 If so, you may find the BP6B has better detail than his speakers. But, his will have a better overall presentation, but I doubt you will find benefit in owning the 10B if you cant turn it up loud or dont have the proper amplification. My worry would be more in buying from a seller outside of ebay. As the seller, you will receive the money before you send the product, so I'm not sure that you have the risk. As the buyer, I'd send my money through paypal right away, and then just hope to receive a quality product. As to whether he has bp10Bs, I'm not sure. I know he bought them new about 3- 4 years ago, if that means anything. I have flexibility in placing the speakers, because the side wall on each side comes our about 4 feet on each side, and the whole room is open except for my theater seats and components in the back of the room. As for amplification, I don't have anything worthy of an audiophile, but my Pioneer vsx-D912 seems like it gives out enough volume -- but I don't know whether it can sufficiently power BP10Bs or BP8Bs. All I really know is that I like def tech based on what I've read about them and hearing them. My most recent purchase on ebay was a pair of gems with a mythos seven center and a pf15 sub. The seller still hasn't sent the sub (says he brought it into the shop to get a new power cord for my benefit) so I can't really judge the gems without a sub to go with them. I just wanted the PF 15, because I know I like my brothers, and I figured if the gems don't do the trick, I can always resell them. Do you know anything about the gems? They sound alright, but they obviously lack bass (which I can't go too overboard on anyway, because the wife doesn't like too much). I don't want to get the bp6bs if I'll just end up selling them for something else -- my wife's already frustrated with me not wanting what I already purchased. The gems are what they are. Small bookshelfs - the BP6B will fill the area much better. I only accept MO, I have no paypal account. Just a FWIW. Question now is... do you want them? Boxes are ready to go! Please, somebody buy these so this thread will end, please!!!! I'm not interested in paying with money order. Dude, I know you're new and all, but you can most definitely trust Trey to send the speaks out to you. He doesn't want all of us to come down on his **** if he didn't. I think there's alot of members that knows where he lives. Maingey... if you want em - all yours. 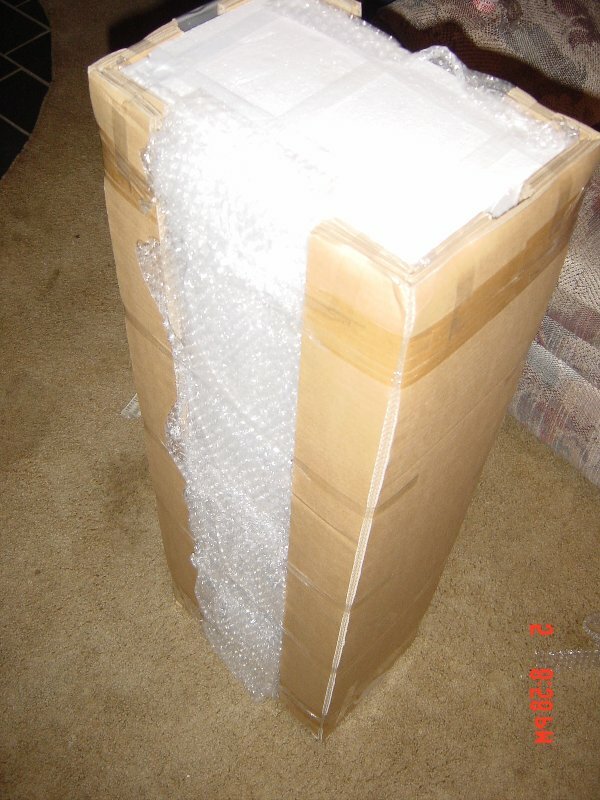 * Item will be shipped as soon as possible right after the Money order has been cashed. 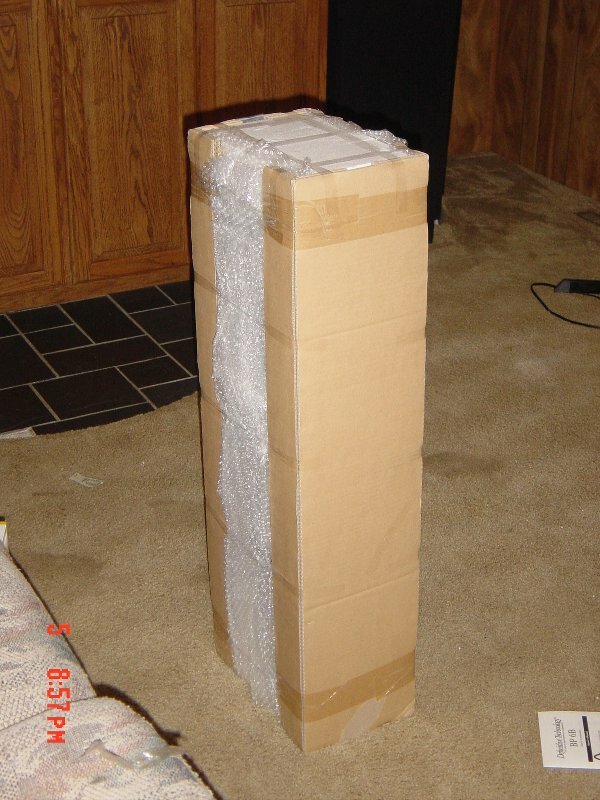 * Will be shipped through UPS, it is the closest carrier. * Will not ship to Canada. Period. I've done about 15 transactions on this website... all of which were paid for by money order. They are packed to ARRIVE. No worries with buying from Sid. Like Noel said, if he rips ya off, we'll pay him a house visit. The members here run a very very honest flea market. Anyone that has ever ripped someone off has been dealt with and banned. I only joined in April and have bought numerous pieces from here without a single issue and from people that I have never seen or met. Do we have any "definitive" answers from either you two? maingey can have them if he wants them. Otherwise, I'm going to think about it. Part of not wanting to do money order is the hassel of getting to the bank to get one. My working hours lately have been on average from 7:30 a.m. to 10:00 p.m. or later. Once my schedule gets more regular, I'll reconsider it if they are still available. If its anything like here... getting it from there would be cheaper. Lately, I literally do not leave my building during the day, not even to eat. I work, I go home, I sleep, and get up the next day to work again. I just don't have time right now to go looking for a place to get a money order. It is the life of litigation -- I wouldn't wish it upon anyone. Oh come on you two, either ya want them or ya don't... you don't work 24/7, surely as trey mentioned you get a coffee or gas or something at a convenient store. No offense but if you want them bad enough you would get the money order. MOs can be had at almost all convenience stores for $.69. It takes an extra 2 minutes at the most while they print it out. Hell send one of your "go-fors" as it sounds as though you're a lawyer?? or at least work in law in some capacity. If so, who do you send after your lunch or dry-cleaning?? They could pick one up for you.